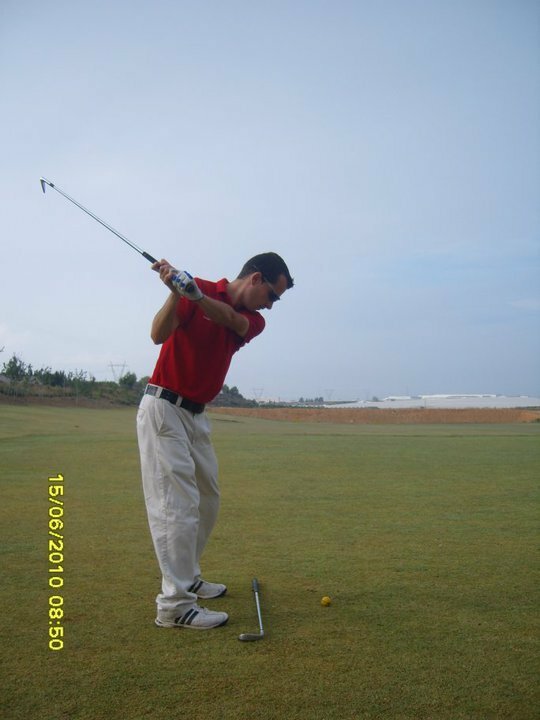 The first move in the backswing is vital for building a solid and repetitive swing. It is really important to get the club moving away from the ball in a “straight” line, or moving along the target line. To set up this drill you need to first, as always when practising, identify your target. 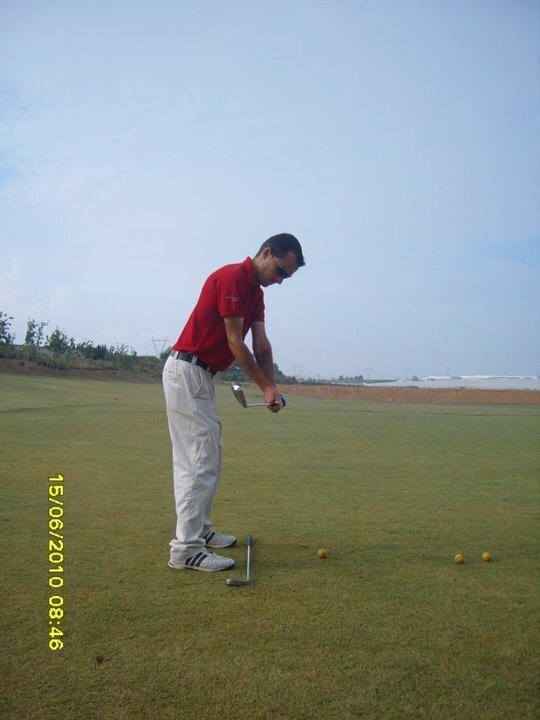 Place a club on the ground parallel to your ball to target line to aid feet alignment. 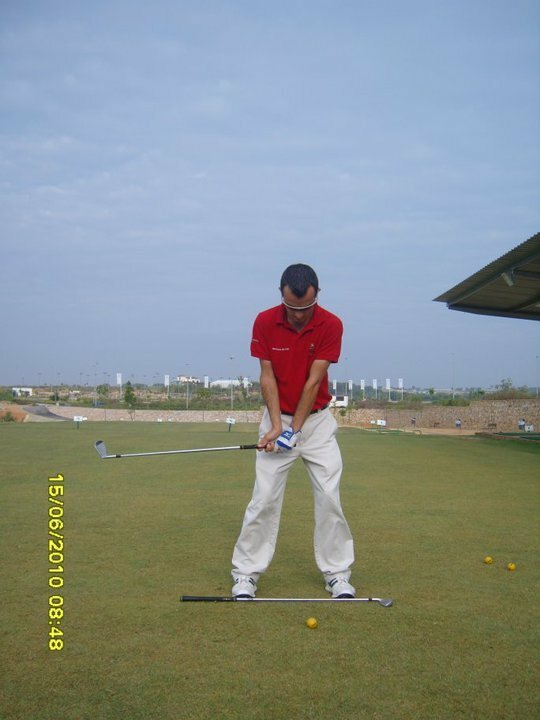 From here the swing is a simple turn of the shoulders, NOTHING moves except the trunk of the body, the hands, wrists and arms are already set in the correct position. The position that you should create at the top of the backswing is easy to check with the use of a mirror or a friend. At the top of your backswing your non-target hand (right for right handed) should be in front of your non target shoulder and at the same height. (FIG 4).